Preview the fabulous video online! 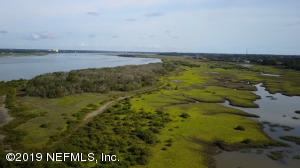 Ultra-private 8.75 acre gated home-site with 513' of breathtaking, pristine waterfront is nestled along the Tolomato River, less than a 1/2 mile walk or bike ride to the beach. 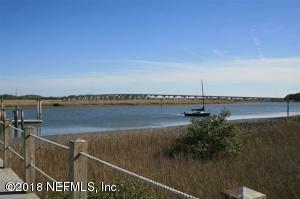 This property offers deep-water dock availability and abuts a gorgeous private beach with soft, white, silky sand. The unsurpassed sunset views make this one of the most unique, magical & desirable pieces of property that still remain in Northeast Florida. 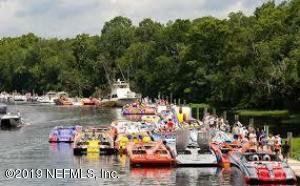 For boating enthusiasts, the St. Augustine inlet is less than a mile away by boat. 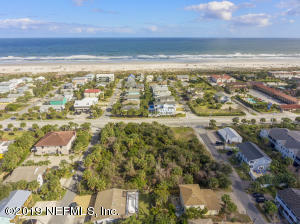 The property is only minutes from historic St. Augustine. Owner will consider a tax-free exchange for other property including land, residential home or commercial property. Guest house(s) can be built but this property cannot be subdivided. 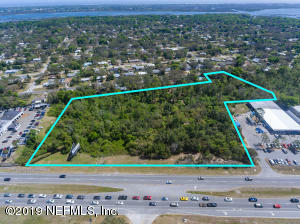 One of the last opportunities for commercial/residential development in Saint Augustine Beach is FINALLY available. Endless opportunities for the island visionary of what COULD BE, and what is to COME of St. Augustine Beach is now your story to tell. This parcel of land is one block from the white sandy beaches of the Atlantic Ocean and is situated within walking distance to the many vibrant restaurants, bars, shopping, and everything else the beach has to offer. The commercial zoning creates endless platforms of business endeavors to take on with many options to choose from. Divide the land into 8 seperate parcels to build custom homes on 8, 50x100 lots situated on commercial zoning providing them with vacation rental potential. 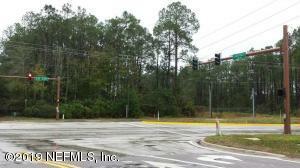 Looking for land to develop in the great school district of St. Johns County? Don't miss out on this great opportunity! 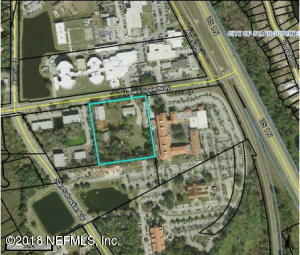 This 10-acre site is located on the east side of U.S. 1 approx. 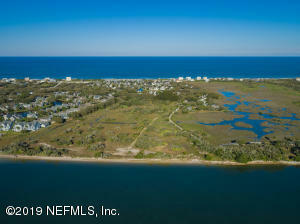 a half mile north of the southernmost entrance to St. Augustine Shores. It consists of two parcels with 617 ft. highway frontage and is approx. 700 ft. deep. Parcel # 182020-0000 is the westernmost parcel with approx. 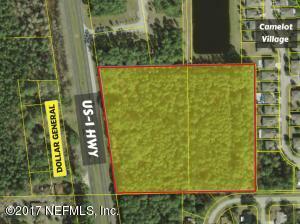 5.47 acres and 182130-0000 is the easternmost parcel with approx. 4.6 acres. CVS, Dollar General, and Walgreens, amongst others, are in proximity to the property. Want a piece of the pie? Seller will consider subdividing. Seller will also consider a joint venture with an experienced developer.